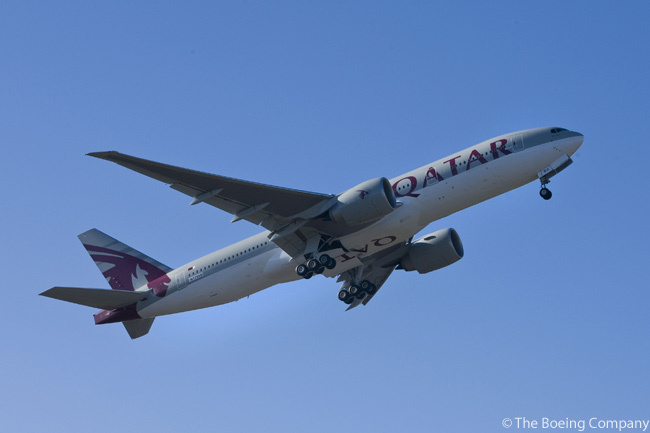 Qatar Airways is serving South America for the first time with the launch on June 24 of daily Boeing 777-200LR nonstop services to the continent’s two largest cities, Sao Paulo in Brazil and Buenos Aires in Argentinas. The airline, which has doubled its fleet size in five years to 82 aircraft, has already launched five new routes this year from its Doha hub. The routes are to Bengaluru (Bangalore), Copenhagen, Ankara, Tokyo and Barcelona. The daily service to Barcelona that Qatar Airways began in June supports the airline’s long-established scheduled service to Spain’s capital Madrid. In an aggressive global growth plan, Qatar Airways is investing heavily in new aircraft, introducing new routes and making significant improvements to its airport infrastructure ahead of next year’s opening of the New Doha International Airport. Qatar Airways is one of just five airlines worldwide to hold a Skytrax Five Star ranking. The annual Skytrax survey, which polls some 17 million randomly chosen passengers throughout the world, is generally recognized as the world’s top independent ranking of airline service quality. At the 2010 Skytrax World Airline Awards in London, the Doha-based carrier claimed the World’s Best Business Class award as well as moving up one spot to become the number three airline in the world amongst more than 200 international carriers. Qatar Airways also earned the title Best Airline in the Middle East for a fifth consecutive year and received the first ever Staff Service Excellence award for the Middle East. Qatar Airways has placed orders for more than 200 aircraft worth over US$40 billion. The airline recently took delivery of its 15th Boeing 777 and its first Boeing 777 Freighter and currently operates 82 aircraft to 89 destinations across Europe, Middle East, Africa, Asia Pacific and North America. The airline is maintaining a delivery schedule of more than one new aircraft a month and Qatar Airways’ fleet size is set to rise to 120 aircraft by 2013. Its current global network of 89 destinations is also expected to increase to 120 cities over the same period. Additionally, the New Doha International Airport in Qatar is scheduled to be ready by the end of 2011. Both runways and the main terminal structure have already been completed. In its initial phase, the airport will have a capacity of 24 million passengers per year. Qatar Airways, which launched Qatar Executive six months ago to serve the Middle East’s expanding corporate business travel market, will also be opening a new hotel at the airport. Qatar Airways has placed firm orders for 80 Airbus A350s, 60 Boeing 787s and 32 Boeing 777s, with deliveries of the latter having started in November 2007. The airline is a customer fopr the twin-deck Airbus A380 super jumbo, with five on order. Qtara Airways’ A380s are scheduled for delivery from 2012, by which time the New Doha International Airport should have opened. For more information on Qatar Airways and the New Doha International Airport, visit www.qatarairways.com/us and www.ndiaproject.com.